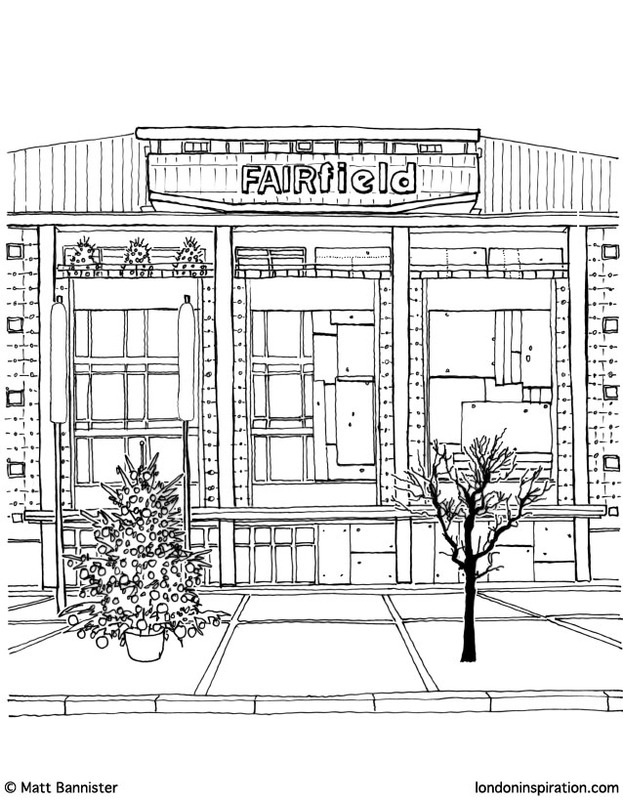 In the last few months, I have been commissioned by a local newspaper to create two illustrations for them. 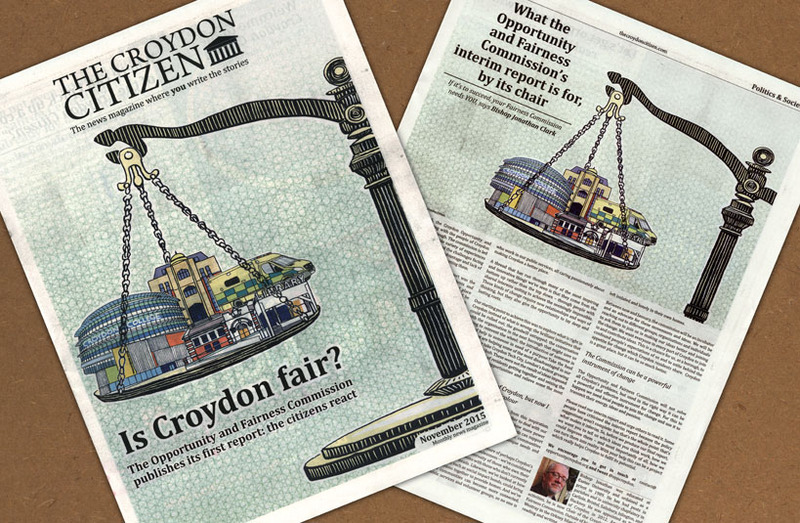 The Croydon Citizen produces web content as well as a free hard copy each month. 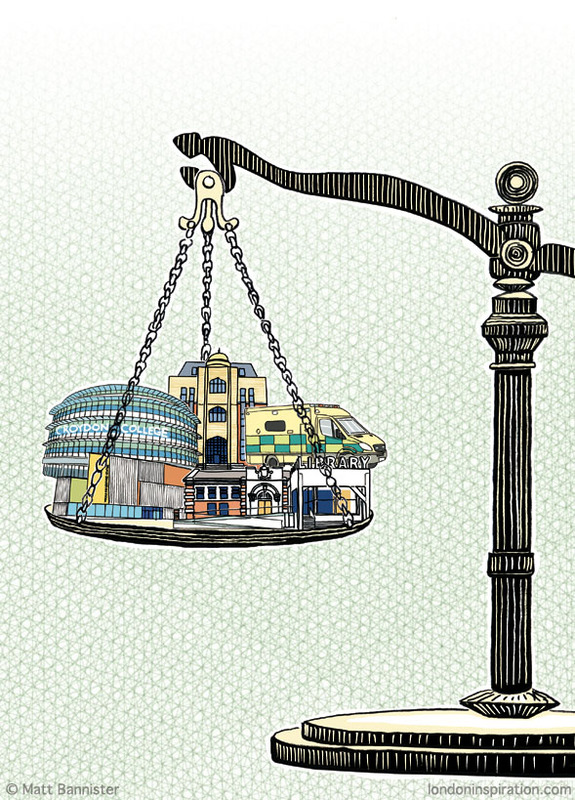 The first commission was for an article called "Is Croydon Fair?". They came up with the rough concept of the old weighing scales, and suggested local landmarks and services to fill the plate with. The image was used on the front, and inside with the feature. 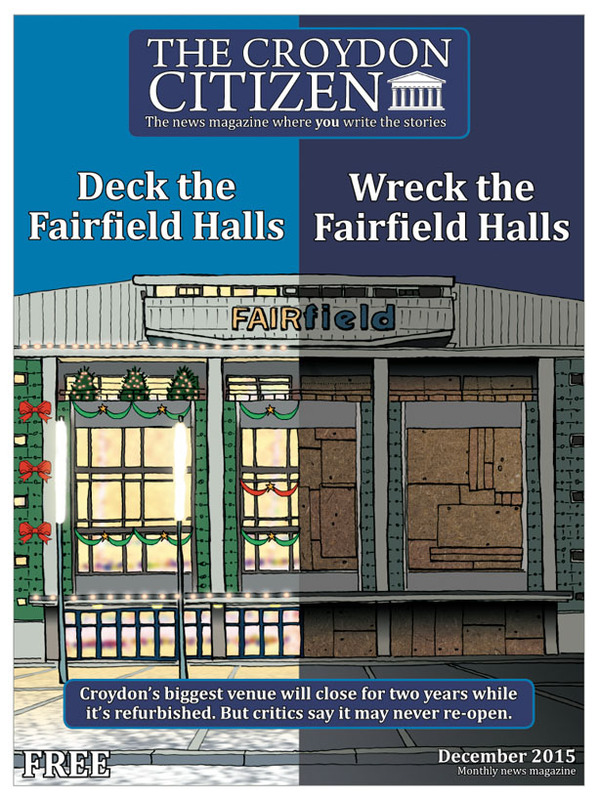 A few months later, I was asked to do a cover image for their Christmas issue, this time highlighting the concerns some Croydonians have had about the temporary closure of the Fairfield Halls. 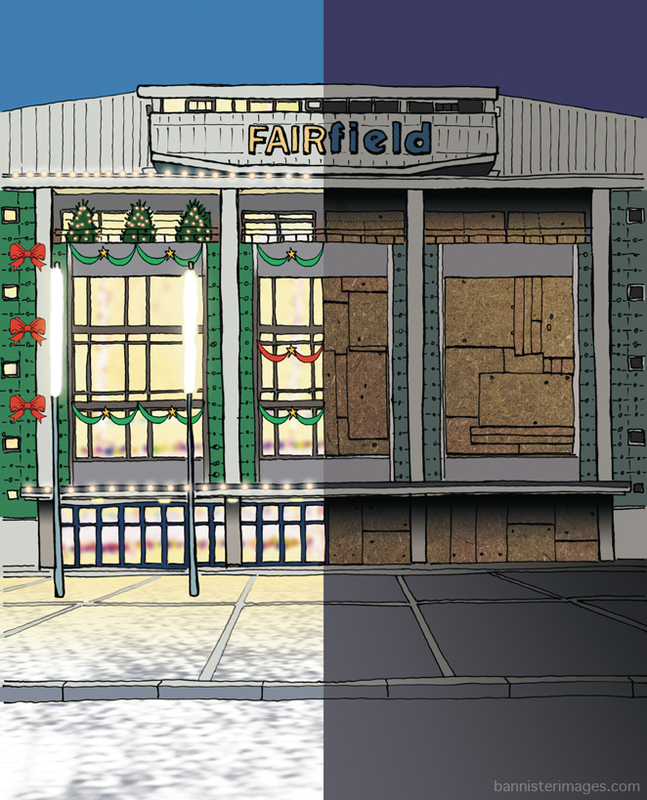 They, again, had an idea that they wanted bringing to life: the Fairfield Halls in a half and half state of open and closed. Here's the final version, without text, followed by a drawing of an early version featuring two contrasting trees (that we decided not to use in the end, as it might have hindered the lay out).